Manchester United broke a streak and spoilt a party on Saturday when they were able to defeat Manchester City 3-2 at the Etihad. The winning spirits are certainly high in the Red Devils’ camp, and now, they could get another one-up on their bitter rivals, this time on the transfer side of things. Both clubs have emerged as ideal destinations for talents to play at, and are certainly the finest rosters in England. 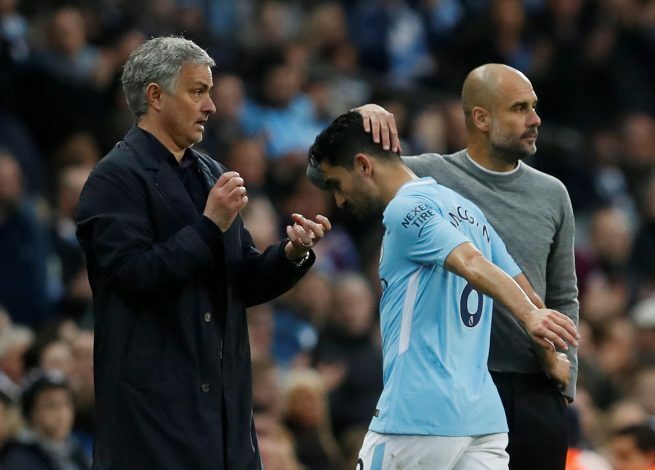 As of such, it is no surprise that both the Mancunian giants will be launching into a strong battle with hopes of signing a target long on their radars. As per Mirror, Jose Mourinho is hoping to beat Pep Guardiola to secure the signature of Shakhtar Donetsk’s Fred in the summer. The Brazilian’s advisor and former Gunner Gilberto Silva has confirmed that a move to England is certain. Now, the only question that remains is which of the Manchester clubs he will seek to join, what with Arsenal believed to be out of the picture. The 25-year-old midfielder has been primarily on City’s radar, with Guardiola eager to employ him in a bid to further bolster his already remarkable midfield options. Mourinho, on the other hand, has made it clear that his club will have to outspend the Cityzens should they wish to trump them to the title in the season to come. As of such, acquiring their long-pursued target seems the ideal measure to make a strong statement. In view of the same, it is believed that the Ukrainian club is asking well over £50 million for Fred’s transfer, and that could potentially be an issue for City, who reportedly have a valuation of their own that they won’t go over. United, in comparison, don’t seem to have a financial leash on their spending, and could realistically acquire him quite easily if their neighbors prove to be fussy negotiators.